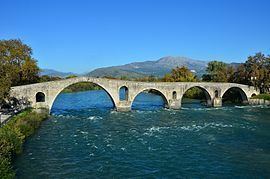 Arta (Greek: Άρτα) is a city in northwestern Greece, capital of the regional unit of Arta, which is part of Epirus region. The city was known in ancient times as Ambracia (Ancient Greek: Ἀμβρακία). 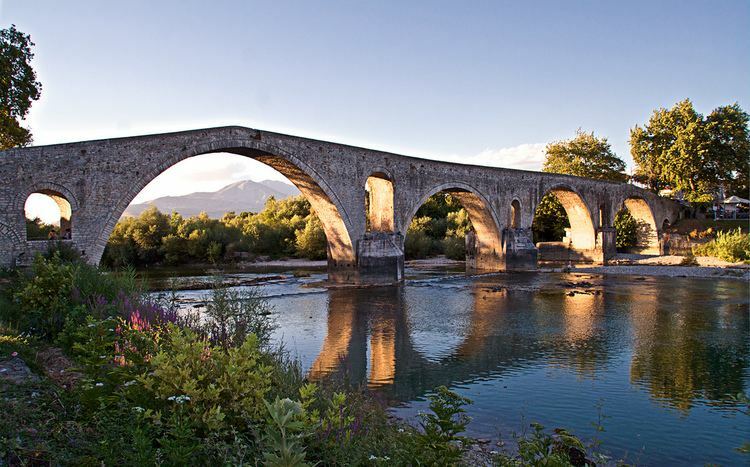 Arta is known for the medieval bridge over the Arachthos River. 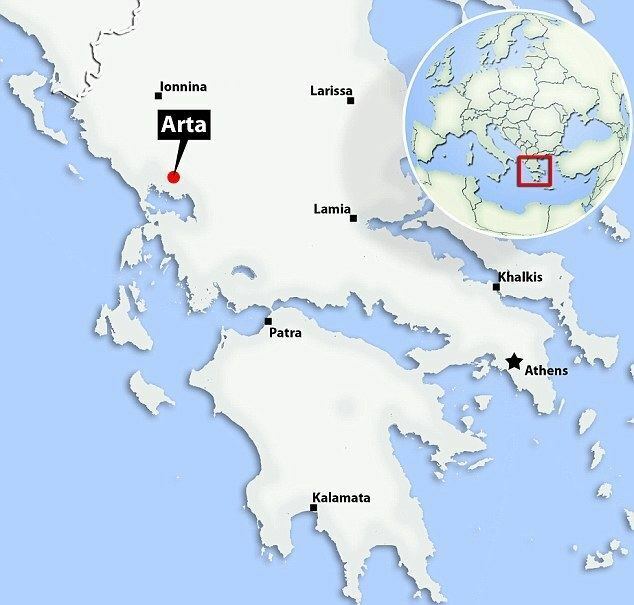 Arta is also known for its ancient sites from the era of Pyrrhus of Epirus and its well-preserved 13th-century castle. Arta's Byzantine history is reflected in its many Byzantine churches; perhaps the best known is the Panagia Paregoretissa (Mother of God the Consoling), built about 1290 by Despot Nikephoros I Komnenos Doukas. The city is the seat of the Technological Educational Institute of Epirus. Despite the existence several churches from the 9th and 10th centuries, Arta is first attested only in 1082, when the Normans under Bohemond laid siege to the city. The origin and etymology of the name is uncertain and debated. In the Komnenian period, the city flourished as a commercial centre, with links to Venice, and rose to become a bishopric by 1157. The Jewish traveller Benjamin of Tudela visited the area in 1165. By the end of the 12th century, Arta probably formed a distinct fiscal district (episkepsis) within the wider theme of Nicopolis. After the fall of Constantinople to the Fourth Crusade, it is recorded as the pertinentia de Arta in the Partitio Romaniae treaty of 1204, and assigned to Venice. The Venetians did not take control, however, for in 1205 Michael I Komnenos Doukas came to the city, succeeded its previous Byzantine governor, and quickly established a new principality, which is known by historians as the Despotate of Epirus. 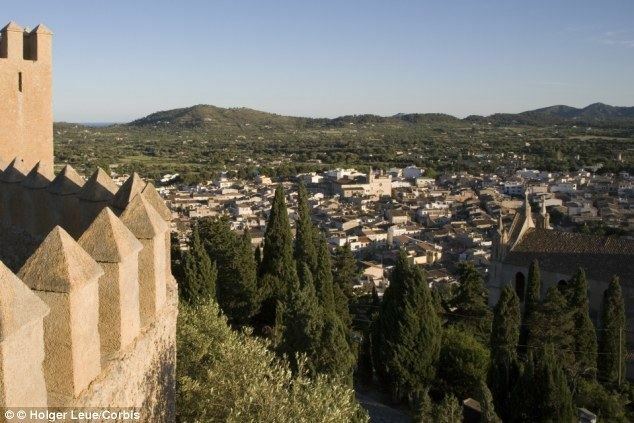 Arta remained the capital of the new principality for most of its history, and flourished as a result. The city experienced considerable building activity, with the renovation of older churches and the construction of new ones, most notably the Church of the Parigoritissa and the Church of the Kato Panagia; sometime after 1227 it received fortifications; and was the site of regional Church councils in 1213, 1219, and 1225. The 15th-century Chronicle of the Tocco describes it as "the center of a fertile agricultural region with many water buffaloes, cows, and horses", and the city had trade links to Venice—a Venetian consul is attested in 1284 and 1314/19—and Ragusa, exporting dried meat, lard, ham, furs, and indigo. Archaeological finds also attest to a local ceramic industry. After the Battle of Pelagonia in 1259, the city was occupied by the troops of the rival Greek successor state, the Empire of Nicaea, (which restored the Byzantine Empire in 1261) but was soon recovered for Epirus by John I Doukas. Another attack by the Byzantine emperor Andronikos II Palaiologos in 1292, by land and sea, was unsuccessful. In 1303, the city was besieged for a month by the Angevins under Charles II of Naples. In 1313, much of the city was destroyed in a great fire. In the next year, Byzantine troops under the pinkernes John attacked Epirus, including Arta. In 1318, the last male-line descendant of Michael I, Thomas I Komnenos Doukas, was assassinated by his nephew, the Count of Cephalonia Nicholas Orsini, and Epirus passed to the Italian Orsini family. Nicholas was in turn murdered in 1323 by his brother John II Orsini. In 1331 Arta, as well as Leucas and other areas, were occupied by Walter VI of Brienne, and John Orsini was forced to accept Angevin suzerainty. John's death in 1335 left Epirus in the weak hands of the young Nikephoros II Orsini and his mother Anna Palaiologina, and the Byzantine emperor Andronikos III Palaiologos availed himself of the opportunity to occupy and annex Epirus. Byzantine rule was unpopular, and in 1339 a revolt broke out, with Arta joining it, under a certain Nicholas Basilitzes. Andronikos III and his commander-in-chief, John Kantakouzenos, campaigned in person in Epirus and captured the rebel fortresses one by one, either by siege or through negotiations. By the end of 1340, Byzantine rule was restored, and John Angelos took his seat as imperial governor in Arta. Aided by the Byzantine civil war of 1341–1347 and an outbreak of the Black Death that devastated the region, Arta with the rest of Epirus fell under the rule of the Serbian king Stefan Dushan in autumn 1347. Dushan's half-brother Simeon Uroš, who married John II Orsini's daughter Thomais Orsini, was appointed governor of Epirus.Fine 1994, p. 320 The city remained part of the new Serbian Empire until Dushan's death in 1355. Nikephoros II Orsini recovered Epirus in 1356/7, but his death in the Battle of Achelous against the Albanian tribes that had invaded the region, meant that Arta returned to the (rather nominal) rule of Simeon Uroš, who preferred to reside in Thessaly rather than Epirus. This left Epirus open to increasing Albanian migration, who soon captured most of Epirus, except for Ioannina. In 1367 or shortly after, Arta too was captured, and became the centre of the "Despotate of Arta", until 1374 under Peter Losha and then John Bua Spata. The Albanian rulers managed to withstand attacks by the Angevins (sometime between 1374 and 1384), as well as by the Grand Master of the Knights Hospitaller Juan Fernández de Heredia in 1378, but in 1384 the city was plundered by the Ottoman Turks. From 1401/02, Carlo I Tocco, the ambitious Count of Cephalonia, began launching attacks on Arta, taking advantage of the Albanians' infighting. Despite the Albanians' calling on Ottoman aid, in 1416 Tocco captured Arta after a long siege. Having taken control of Ioannina in 1411, Tocco thus reunited the core of the old Epirote realm, and received recognition from both the Ottomans and the Byzantine emperor. After Carlo I's death in 1429, he was succeeded by his nephew Carlo II Tocco. In 1449, the city fell to the Ottomans. Under Ottoman rule, the town was called in Turkish Narda. It was occupied by Venetians in 1717 and the French in 1797, but the Ottomans retook it in 1799. Several battles took place near the city during the Greek War of Independence. The city was finally annexed to the Greek Kingdom in 1881 by the Convention of Constantinople. The town's fortifications were built by Michael I Komnenos Doukas in the early 13th century, but their present form is largely post-Byzantine. Secular architecture from the Byzantine period, including the palace of the Despots of Epirus, has vanished completely, but the city preserves numerous churches. Private folk museum in Kypseli. The Technological Educational Institute of Epirus (T.E.I.) has a main campus and its administration seat in Arta and has branch campuses in the three other main cities of Epirus, Ioannina, Igoumenitsa and Preveza. It has four (4) Faculties and thirteen (13) Departments. Arta is located NNW of Antirrio, Messolongi and Agrinio, NE of Preveza, SSE of Ioannina and nearly SW of Trikala. The city is linked with the GR-5 (Antirrio - Ioannina) and the GR-30 which links with Peta and Trikala. The Arachthos River flows to the west with its reservoir lying directly to the north. The municipality has an area of 457.248 km2, the municipal unit 47.493 km2. Michael I Komnenos Doukas, founder and first ruler of the principality of Epirus from 1205 until his death in 1215. Theodore Komnenos Doukas, (died c. 1253), ruler of Epirus from 1215 to 1230 and of Thessalonica from 1224 to 1230. Theodora Petraliphaina, canonized as Saint Theodora of Arta; (ca. 1225 – after 1270), consort of Epirus and Orthodox Christian saint. Michael II Komnenos Doukas, ruler of Epirus from 1230 until his death in 1266/68.